Amiibos aren’t the only way to obtain Nintendo collectibles, as Bandai has a few high-quality figures of their own. Set to release next year, Bandai Toys under “Tamashii” will release three new S.H. Figuarts Super Mario Bros. collectibles, even if all three are technically re-issues. The headliners of the Super Mario Bros. universe, Mario, Luigi, and lovable dinosaur companion Yoshi, are getting re-released Figuarts collectibles from Bandai Toys. 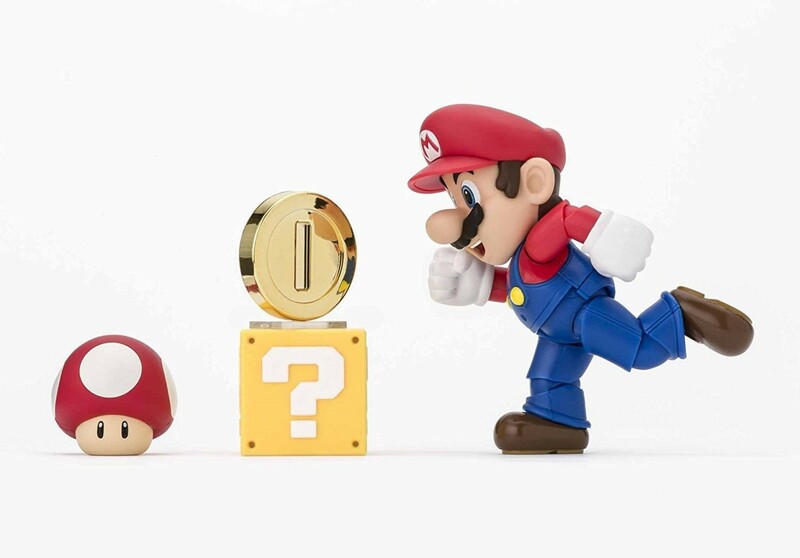 Standing at approximately 10cm/3.9in tall, the Mario figure sees the red-clad plumber sporting his iconic grin and trademark overalls; additional display parts include a Question Mark Block, Super Mushroom, Gold Coin and additional support/stand pieces for Mario and the coin. Plumber and part-time exorcist-for-hire, the Luigi Figuarts collectible stands slightly taller than his brother, at 11cm/4.3in. Luigi comes equipped with a Brick Block, a Red Shell, display stand pieces for both Luigi and the Red Shell, and an alternate set of hands. Yoshi, the faithful companion, steed, and protector of the Mario Bros, is the last of the three re-issued S.H. Figuarts Nintendo collectibles, and the most equipped. Also measuring 11cm/4.3in tall, Yoshi’s additional display pieces include a Yoshi Egg, alternate eyes, tongue and right hand, and a display stand; for those with all three figures, Yoshi also features individual saddle parts designed for the Mario and Luigi collectibles. All three Bandai Toys/Tamashii S.H. Figuarts collectibles are expected to release in late-April/early-May of next year. Mario and Luigi are currently listed between $24.18-$31.25, though Yoshi is marginally more expensive at $37.99. Tamashii’s Mario figure can be pre-ordered through Play-Asia, AmiAmi and Solaris Japan, but Luigi and Yoshi are only offered through Play-Asia and Solaris Japan. Play-Asia will close the current pre-order window for all three on Thursday, 12/7.